What's a girl to do when her life turns from sorrow to deceit and defeat? Amanda Barnhill knew it wasn't fair; these sorts of things rarely were. However, the Corinth's had made a promise to her ailing mother and so they were determined to follow through in their own deceptive way. Would Amanda ever find the life she only dreamed possible after all the heartache and deception she faced? Still, she took the chance and defied the odds to find the life she desperately wanted. Even the mundane tasks of Amanda's chores were not enough to mask the fact that she desired to find her true love. And find it, she would. Would you listen to The Rescued Bride: Mail Order Brides again? Why? Absolutely - it's a very relaxing listen, between the writing and voice used to convey it. The writing is simple and poignant, much like its time period, not heavily resting on a large vocabulary or spicy dialogue to get its story across. While some might complain the story itself is tedious, I feel that its pace is accurate as this is the story of a woman patiently waiting as many of us do for a husband. While the growth of the romance is spaced, it is all the more charming. With its easy to follow pace, this is the perfect story to listen to while knitting! 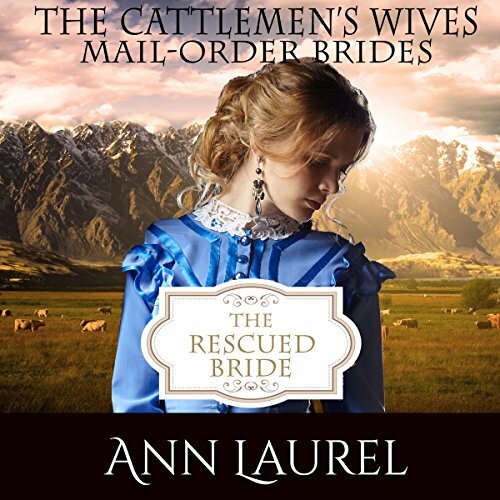 What other book might you compare The Rescued Bride: Mail Order Brides to and why? It reminds me a lot of a western style Cinderella, with its own twist. The struggles of sweet, dutiful Amanda draw your heart in with tugging sympathy. I have heard her work in New Lady in Waiting, another great book written on the subject of being ready for the husband God has for you. Her performance in this is far more dynamic as she plays all the various characters. I loved her portrayal of Ms. Crabapple, giving life to the old caring woman. Not to give too much away, Amanda's confidence rolling from mouse to lion throughout and especially the end is a thrill. I can't wait to hear more of this series, and I hope to see Ann and Serena work together again; their writing and vocals worked together really well! Terrible boring irksome- i want my credit back! Terrible boring irksome- i want my credit back!